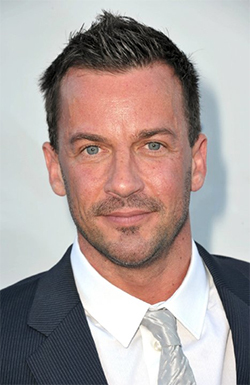 A New Zealander born in Fiji, Craig Parker was 17 when he started working on New Zealand television in the glitzy series Gloss. He followed with lead roles in numerous other local dramas including Shortland Street, Mercy Peak, and Diplomatic Immunity. Throughout this time, he also performed in a number of theatre productions including Macbeth, The Seagull, Arcadia, Rosencrantz and Guildenstern are Dead, The Rocky Horror Show, and his dark favorite, The Pillowman. His international work began with Xena: Warrior Princess and Young Hercules but it was playing the elf, Haldir, in Peter Jackson's Lord of the Rings, that introduced him to the glorious madness of conventions. Since then, he's been the villain with great hair, Darken Rahl in ABC's The Legend of the Seeker, the scruffy lycan, Sabas, in Underworld: Rise of the Lycans, and Spartacus' chief nemesis, the Roman Praetor Gaius Claudius Glaber in the Starz original series, Spartacus. Most recently, Parker played another bad guy, but this time one with a heart for love… Narcisse in CWs, Reign.